Instagram focuses on more business-specific features since they reached over one billion users, so it’s the right time to start building a presence for your business or brand. Just creating an Instagram account is not enough for you to maximize your growth potential. You’ll want to hop right into creating an Instagram Business Profile. These profiles let you access great analytic tools and additional features that help people to get in touch with you. According to Instagram, its platform already has over 25 million business profiles from all around the world. Moreover, there are 200 million daily visits to at least one business profile. This motivated advertisers to start spending their valuable resources on Instagram ads and campaigns. Introducing new and exciting features all the time, advertisers saw a great opportunity to share their content and connect directly with their users. Over time, Instagram grew and became the number one place for visual advertisement after Google. A personal account on Instagram will only get you access to a limited number of features. In order to unlock its full potential, you’ll want access to switch to a business profile. This simple switch gives you to access bonus features, among other things. In addition, they allow you to gain valuable information about your users, their preferences and age. Tap “Switch to Business Profile”. Tap Create New Account or Convert Existing Account. Step 4 is optional if you want to connect your account to an existing Facebook Page, but it’s not required. Choose a category for your profile/business. Fill out your contact details (email address, phone number, and address). Make any other changes and tap „Done“. 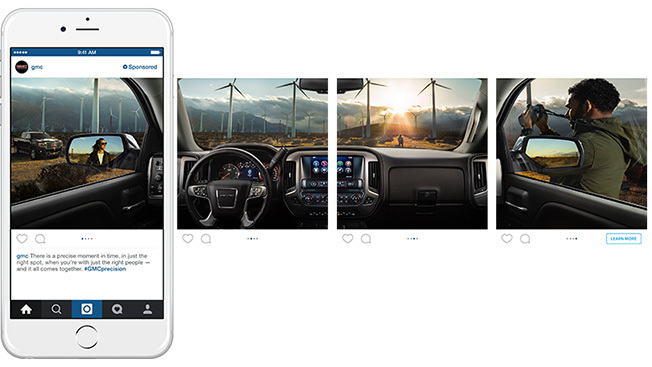 You’re now ready to start using your new and improved Instagram profile. Let’s further explore tools and functionalities now available. A business profile lets you access a variety of metrics. This includes information on how your stories and posts perform, as well as insights about your followers. In addition, it provides a simple way to provide extra information about your business. You can add the location of your business, email address, phone number and working hours. If we take a deeper look, you’ll find two other features available: Instagram Insights and Instagram Ads. Above all, this must be the main reason brands create an Instagram Business Profile. Instagram Insights provides you with valuable insights on how your posts perform. This allows you to better focus and target your efforts towards users that matter to your business. Take a look at how Insights displays your statistics, offering demographic and location data. If you are just starting your way through the Instagram market, this feature will serve you great. However, when you start developing your strategy, goals and standard audience, you’ll probably look for more data. In order to take your Instagram game to the next level, tools like Instagram Ads will get you the specific information you need. 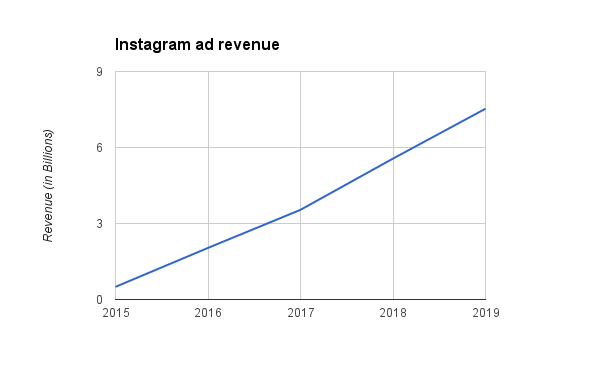 Advertising on Instagram is growing each year. It’s estimated that this year, Instagram ad revenue will reach 5.5 billion dollars. You want your brand to be more recognized and to reach a much wider audience, right? That’s where Instagram Ads come into play. Don’t just run into creating an ad without a good and defined advertising campaign, come up with a plan and manage your time efficiently. In order to avoid steep advertising expenses, it’s important to carefully choose which one is best for your business goals. After you defined your audience, it’s time to choose the perfect way you reach them. There are several types of Instagram ads you can choose from, each one with a specific goal. Picture Ads. This is the most widespread way to advertise on Instagram. It offers you to create sponsored post with options to link your product page, install your application or have you sign up for a service. Multi-Photo Carousel Ads. Last year Instagram introduced this feature both for regular and Business profiles. With this, you can display multiple photos, one after the other. This brings to customers a different aspect of your service or product because you can create a short story around it. Video Ads. A big trend in the video industry is to make videos more “cinematic”. Cinematic videos bring inspiration in people and make them feel to take action, so it’s a great way to engage the audience. Instagram is now letting you make 60-second video ad, prior to past releases when it was limited to 15-seconds and 30-seconds. Stories Ads. Instagram claims that 50% of business account create their stories on a monthly basis and that one in five stories gets a direct message from its viewers. They can be quite fun to use, as they bring creative ways to make your content with face filters, GIF pictures, emojis, Boomerang, and Super-zoom! Not to forget to mention that they are discoverable, which means that people who don’t follow you can see them too. This opens you new ways to reach your audience, offering a fantastic opportunity to stand out from the crowd. Instagrammers use hashtags as a way of searching for their interests, gaining new followers and connecting with people who share similar interests. The best way to use hashtags is not to overuse them while posting. Don’t spam a post description with 20-30 hashtags, that are generic and hardly visible in a large pile of posts. Let’s take Paldesk as an example. Instead of using a bunch of generic hashtags like #livechat or #helpdesk, we decided to take a different approach. Instead, we included our own and unique brand hashtags: #palchat and #brighterinteractions. Together with a few others, they make the core of any good Instagram hashtag strategy. Remember, try using fewer hashtags and be sure to make them count. This one is probably the most important one. Don’t be that brand that has poor communication with their fans and clients. Try to respond to their comments, answer their questions and like their content. Make sure they feel your intent is genuine. One of the best ways to engage with your followers is to shout out to them in your posts. Giveaways are an equally good way to make them feel more special, even if you’re asking them to do something for you. Whatever you end up doing, make sure your brand comes off as understanding and compassionate when dealing with users. Collaborations with other brands is a great way to bring in more followers. Even more, they’re beneficial to both sides, as connecting businesses can open new opportunities. If you’re working with influencers, you’ll have the potential to increase your brand awareness and exposure exponentially. A great example is an H&M collaboration with influencers Julie Sariñana and model Ela Velden in 2017. They both loved their clothing so they decided to promote it on Instagram. This is a great example that shows you that using influencers can benefit you because the audience trusts them when it comes to choosing a with style in mind. Both influencers inspired their fans to try out some clothing from H&M, increasing their sales and audience! Let’s just say the campaign was an unqualified success. Stories They are a great way to experiment and try out a bundle of features. Related: Fake Influencers – How to Spot Them and Can They Affect Your Brand? This includes filming short videos, behind the scenes photos, trying out new face filters or tagging your associates. You can even include your brand hashtag while making them, as stories can be filtered by tags. If you have your own page, you can use a “swipe up” option that creates an outbound link. It’s a great way to get your audience straight to your site! There’s also no “best time” to post a story, as you can use it more than a few times a day. Above all, you can give your clients a live look of interesting aspects in your everyday business, show products or answer live questions from the comments. Live videos give your audience something to focus on and comment on in real time. Time-specific, it’s a good idea to try it out for some podcasts, making sure there’s time for customer questions. Once you’re comfortable with how your live videos are performing, you can later edit them and make a compilation of the most important moments. IGTV was released recently, as a way to directly compete against YouTube. This fresh platform is a great place to run your advertising campaign or start your video program! You can download it separately from the Instagram application, but there is no need to sign up if you already have an Instagram account. IGTV offers you to upload much longer videos than Instagram and to search different channels. A great way to engage possible customers here is to start making tutorials, unboxings or product demos. What’s the point of having Instagram if you don’t share your content with your followers? Its primary purpose is to share photos, so you’ll have to take time your time and make great content. It will take some time to develop your skills of making photos and editing in such a way to look professional and making them harmonious, so they complement each other. You can try to get some help and advice from more experienced Instagrammers or simply pay a professional to do the job for you. Outsourcing is always a good idea when it comes to making sure your campaigns have the best possible impact. In many ways, content is king in the modern era of social media marketing. Instagram is the best proof of phenomena, as a visual platform that allows you to reach your users directly. It also helps out your businesses by introducing a business profile. It offers tools like Insights and Ads that allows to measure your posts performance and advertise on the platform. Both of these give your brand a specific edge, targeting audiences and increasing awareness. Instagram offers a variety of ways to share your content. This can be done through stories, posts, live videos and IGTV. Each one offers specific benefits, so feel free to try them all out. In the end, Instagram is the perfect tool to help your brand get a bigger share of the market, as long as the content you share is original and relevant.